Warrior Sports have already made a big impression on the footballing world, when they, last summer, took over as main sponsor for the English super club, Liverpool. Now the American brand will try to conquer the boot market and today we can present the eagerly expected boots: Skreamer K-Lite and Skreamer S-Lite. 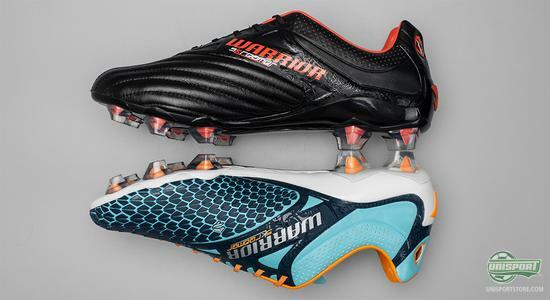 Warrior Sports have just launched their two new football boots and they both fit well into the category of lightweight boots, but besides the colours, they also differentiate in other areas. 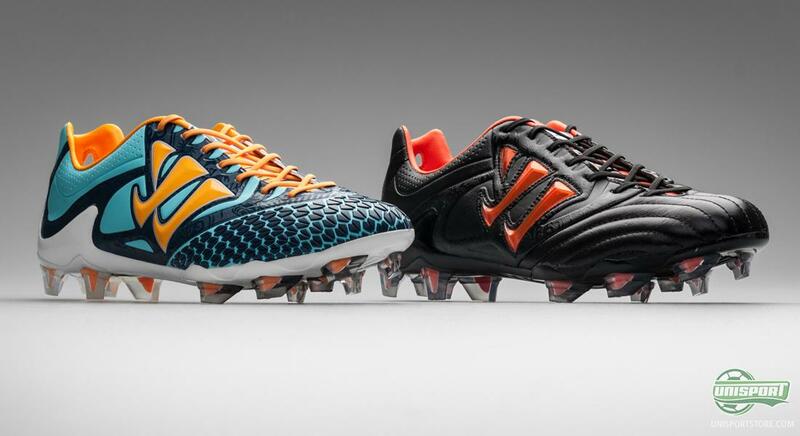 The one is a microfibre upper boot, whereas the other has a kangaroo leather upper; but which one is your favourite? Maybe you can answer the question after reading this article. Have you already decided? 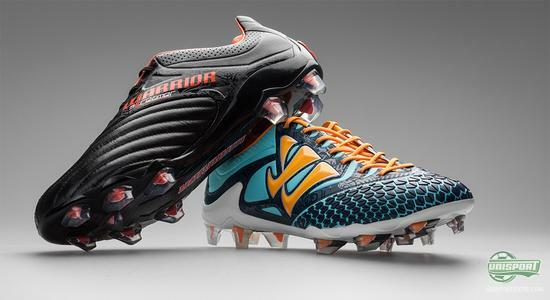 You can order your pair of Warrior Sports Skreamer right here  Prices start at just 167. Even though the two boots share names, they are actually very different. This is especially expressed by the uppers. 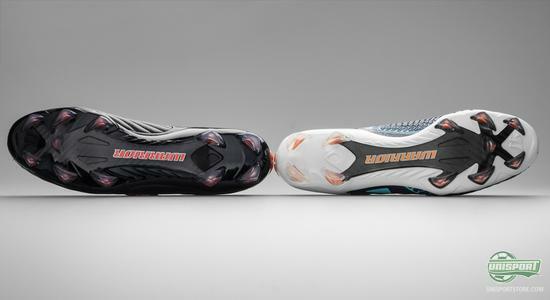 The (Warrior Skreamer S-Lite Orange/Blue) is made with a microfibre upper that is covered with the Warrior Arrowhead technology on the forefoot. It consists of little fins that add a great rebound-effect to your strikes, thus giving them more power, as well as, increasing your ball grip both when dribbling and curving the ball. On the (Warrior K-Lite) the upper is made of kangaroo leather, and the boot hereby joins the list of lightweight leather boots together with Mizuno Morelia Neo and Adidas Adipure 11Pro. It provides a fantastic fit, which wraps around your foot and hereby delivers a very natural and elegant ball feel. Warrior Sports have combined some of the classic features that we enjoy very much. For example, a super nice leather upper on a lightweight boot, but they also bring in innovative technologies. In this regard, the heel is especially interesting; the two holes seen on the heel cap are not just decoration, neither to save weight. 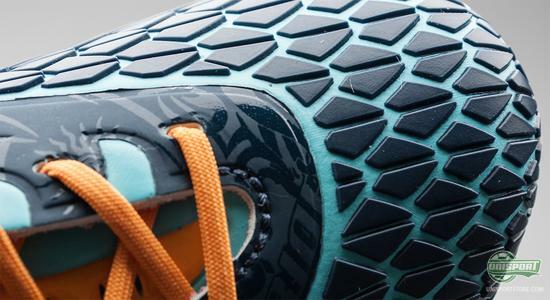 They are Murderholes as Warrior Sports calls them, and serves to let you adjust and correct your boot in game, even while it is laced. Can you believe that we have gone without this for so long - very clever thinking. 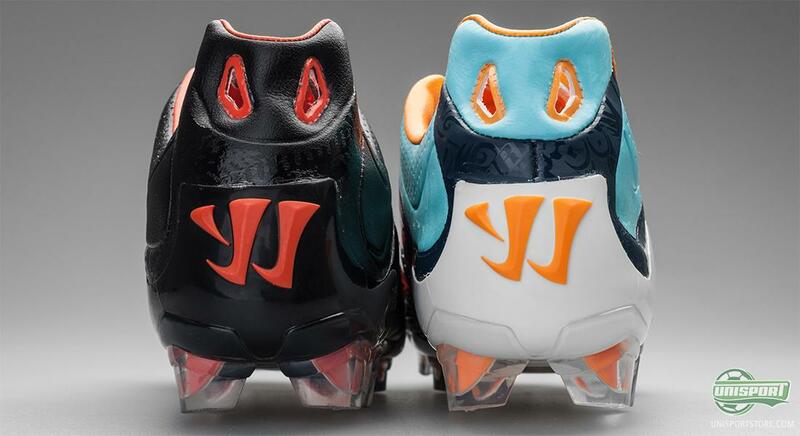 Warrior sports have gone in to completely different directions regarding the colourways. A classic combination on the Skreamer K-Lite with black, white and red colours is, more or less, a sure hit, and we certainly think it is. The Skreamer S-Lite is a very different story, and this is not meant in a bad way. The colour choices are much more daring and loud. Skye blue, dark blue and orange colours dominate and provide a fresh touch to the more traditional design. 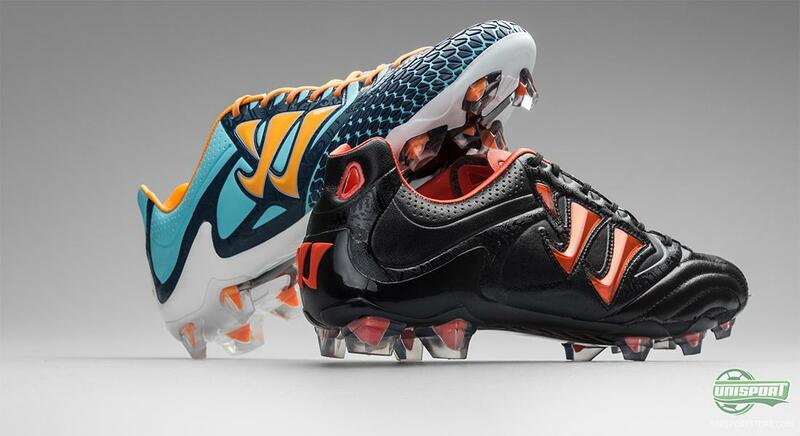 On the bottom of the boot Warrior Sports also manages to impress. Here we find a light Pebax outsole supported by carbon fibre, which provides and incredible responsive abilities to your acceleration. This is further strengthened by the stud configuration, based on the so called Clawtech. 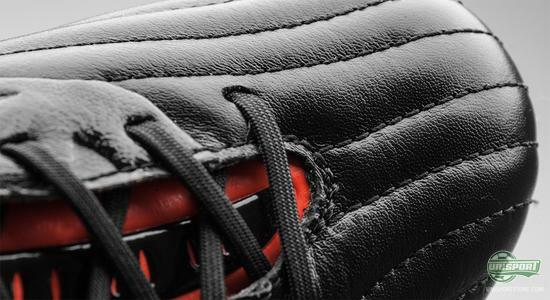 This comprises sharp, claw-like studs, that provide optimal pitch grip and adds to your speed. Does the Warrior Sports boots sound like something for you? Then you can order a pair right here  starting at just 167. We are very excited to see what Warrior Sports will bring in the future, and we are already well impressed by their initial attempt at a football boot. What do you think of the two boots? Which of the two do you prefer? Feel free to share your thoughts in the comment box below.